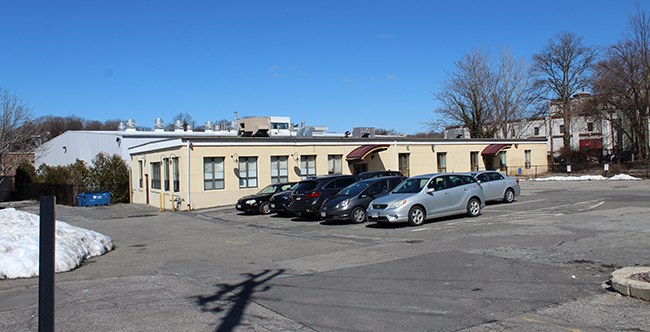 We'll expand our kitchen, adjacent to our current facilities in Jamaica Plain. An expanded 31,000 square-foot “Food Campus” allows for tripled meal production to 1,500,000 meals annually & a larger geographic service area. A new Learning Kitchen accommodates up to 24 students & includes video capabilities for nutrition education seminars. A new Family-Friendly Volunteer Kitchen that accommodates individuals & groups of different abilities, allowing us to expand our volunteer program. A new Baking Kitchen that saves on the cost of purchased desserts, produces customized desserts for our special diet clients, & includes a strong baking component to our job-training program. A new Food & Health Policy Center focused on replicating our model nationally. We expect the project to be completed by September 2019. 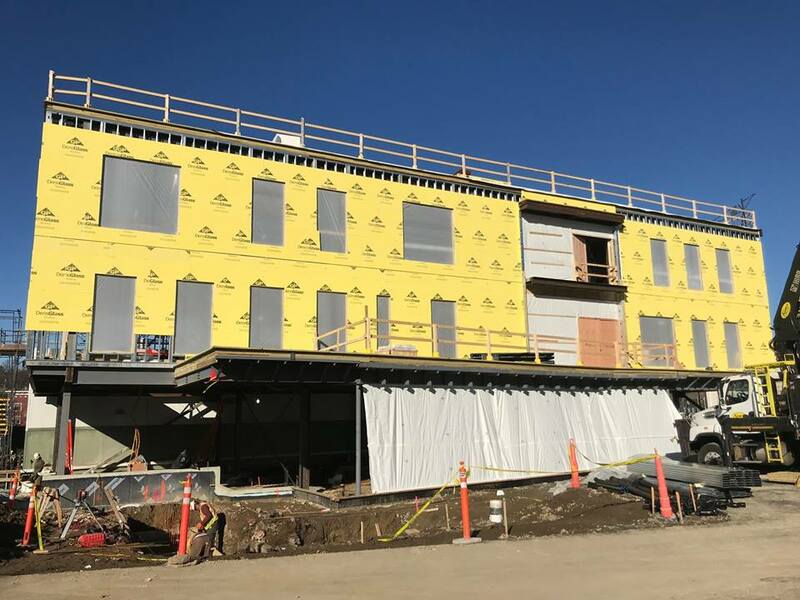 During this time, the current, single-story structure at 179 Amory Street that’s adjacent to our current facilities will be demolished, a new three-story building will take its place, and the current Community Servings’ kitchen will be expanded. 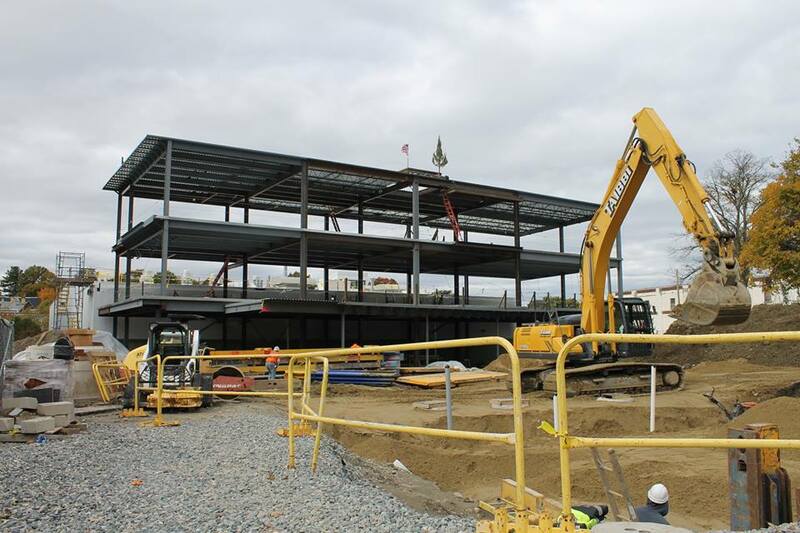 Follow campaign and construction updates here. 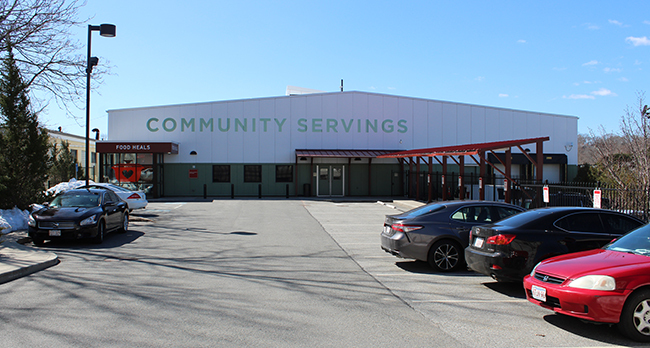 Community Servings has been at its current facilities at 18 Marbury Terrace since 2008. 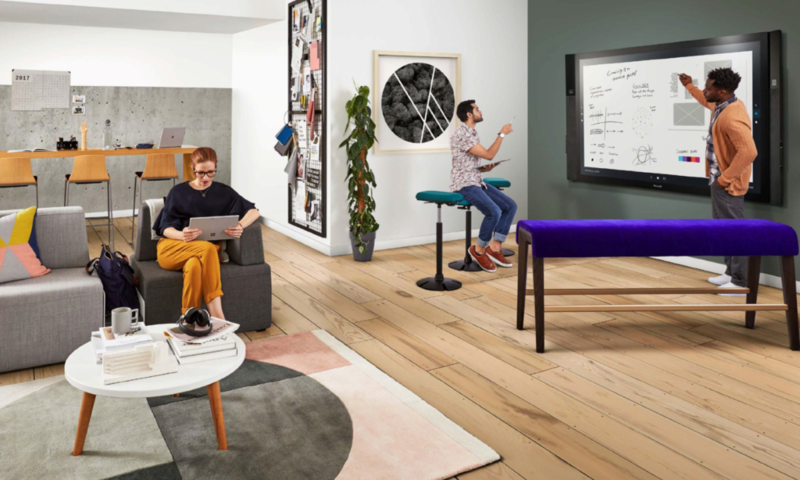 The former warehouse was converted into a mixed industrial kitchen and office space. The current single-story structure at 179 Amory Street next to the current Community Servings' facilities, formerly Copper Beech Montessori, will be demolished in May/June 2018. Demolition is underway at 179 Amory Street! 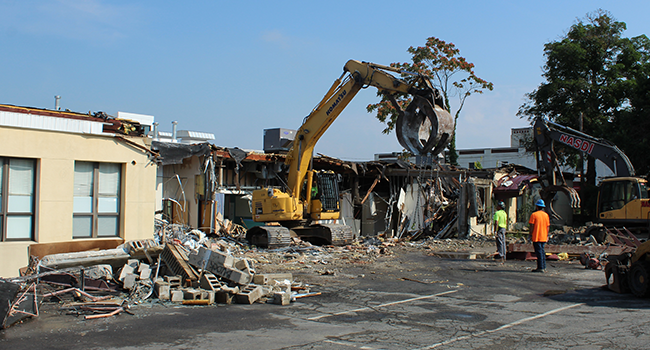 With the help of our friends from Shawmut Design and Construction, demolition recently began to make room for a new 31,000 square-foot "Food Campus." 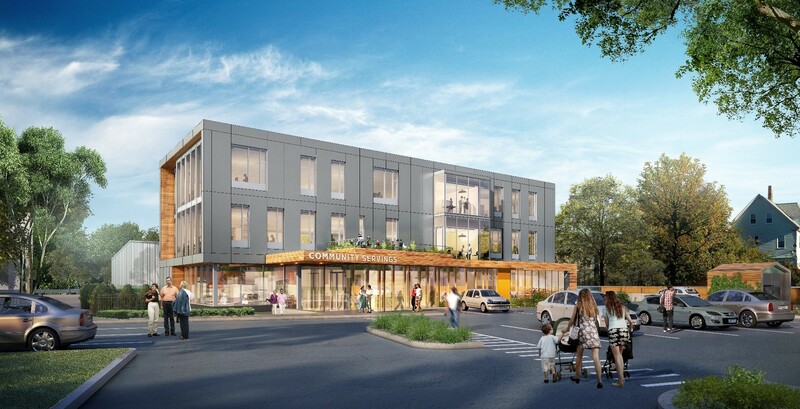 Rendering of the three-story building to be built at 179 Amory Street. 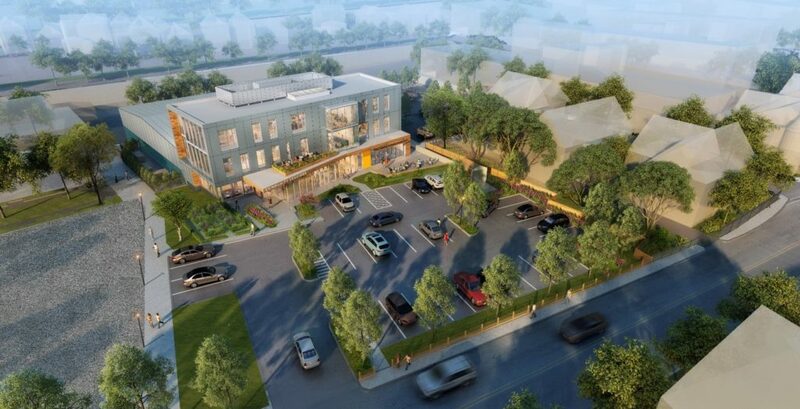 Rendering of three-story building to be built at 179 Amory Street. View from Boylston Street. 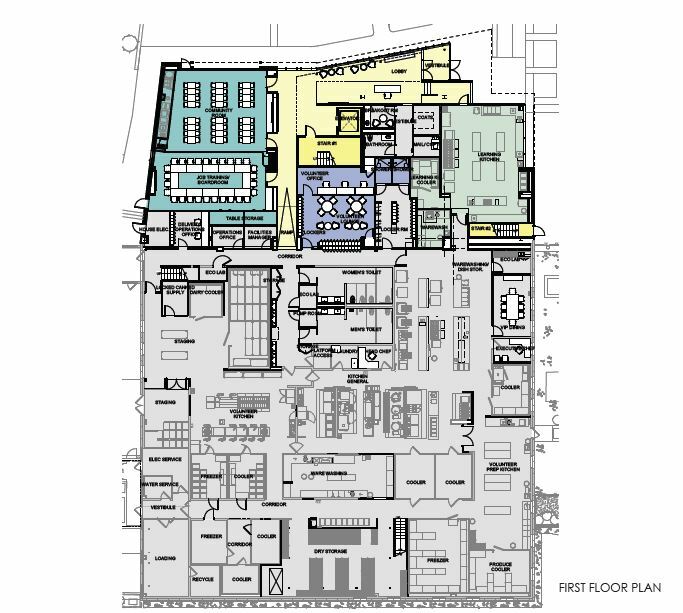 Aerial view of three-story building to be built at 179 Amory Street. Sample blueprint of the first floor. 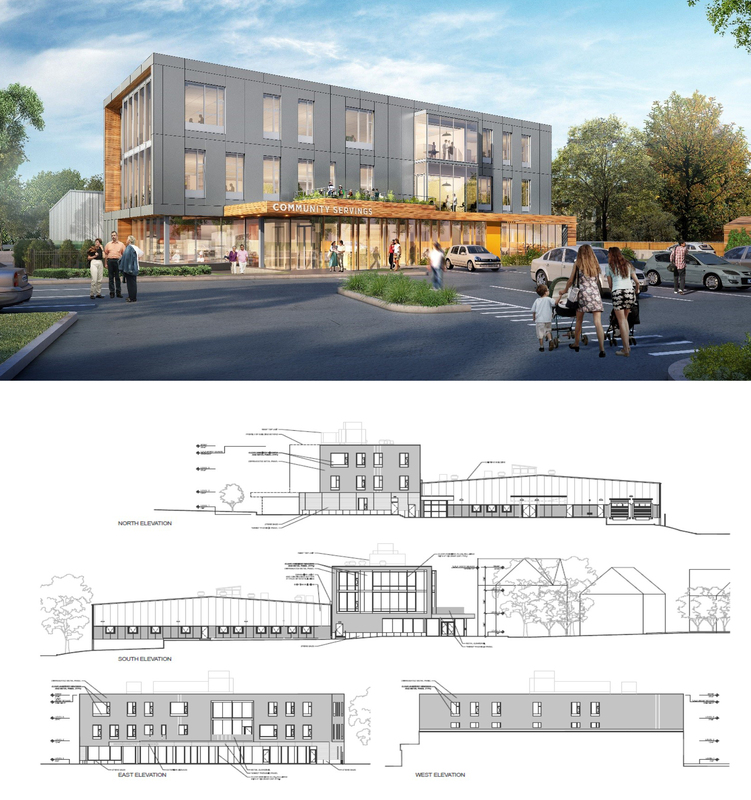 The colored portion will be in the newly constructed building at 179 Amory Street, while the current Community Servings space (in grey) will be converted into kitchen space, allowing for more meal production. 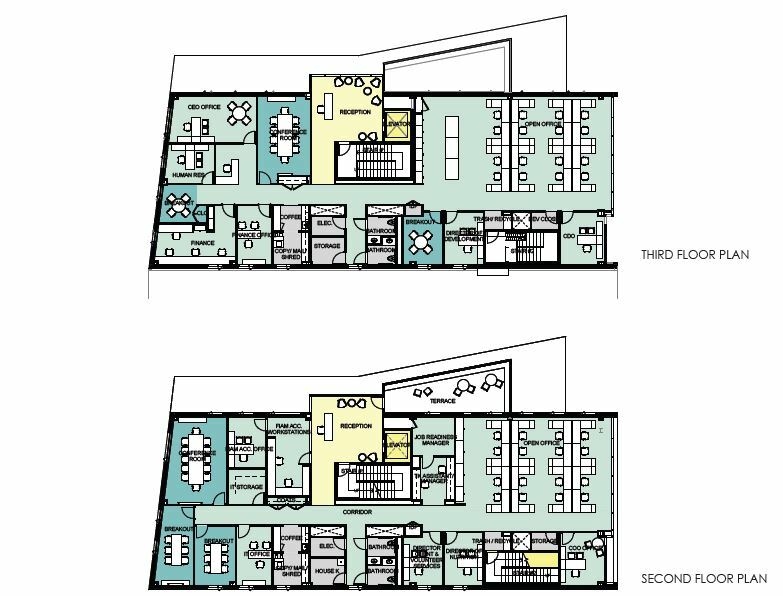 Sample blueprint of the second and third floors at 179 Amory Street, which will house all administrative offices and the Food is Medicine Accelerator. 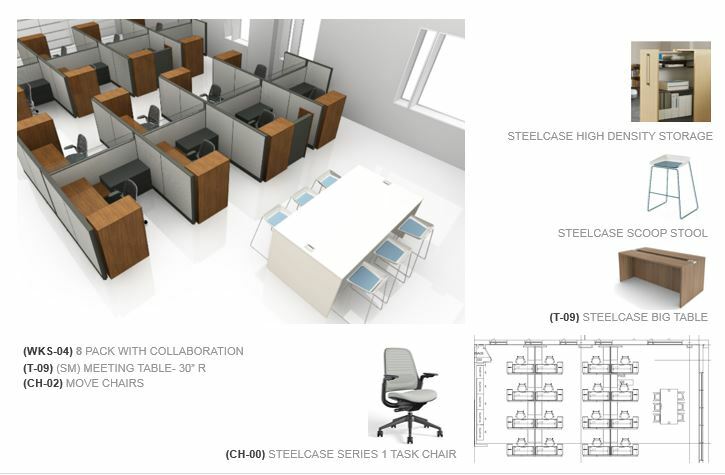 Sample workspace on second and third floors of 179 Amory Street building. 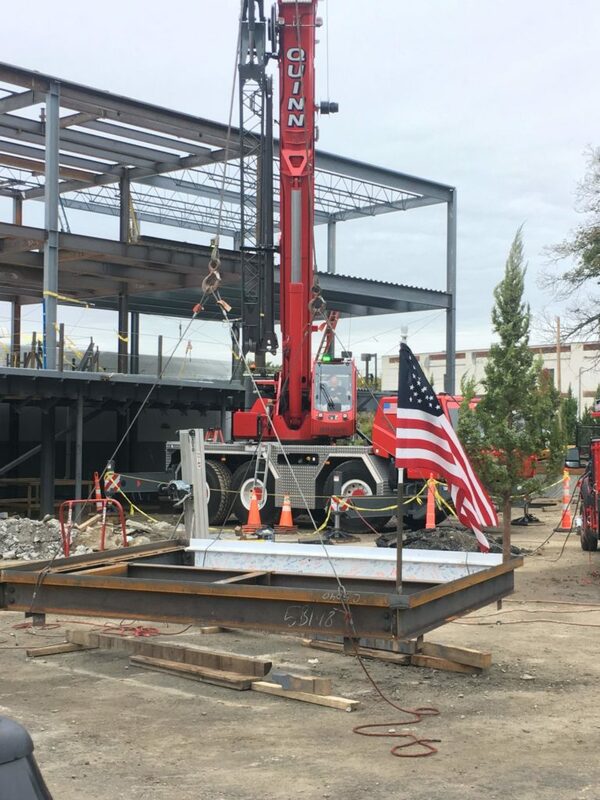 About to raise the last steel beam, which was signed by donors, board members, and staff, on the frame of the new building! View from Amory Street, October 2018. 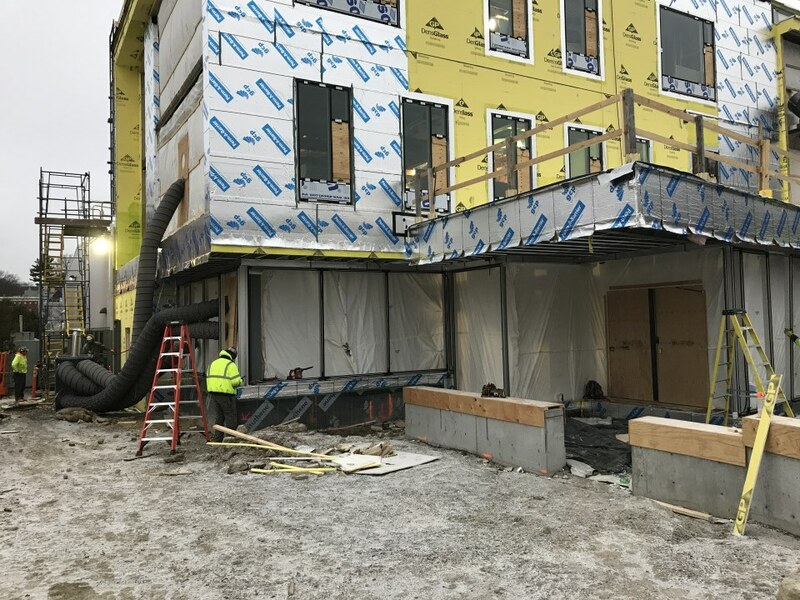 View from Amory Street, December 2018. The new entrance, accessed via Amory Street, January 2019. 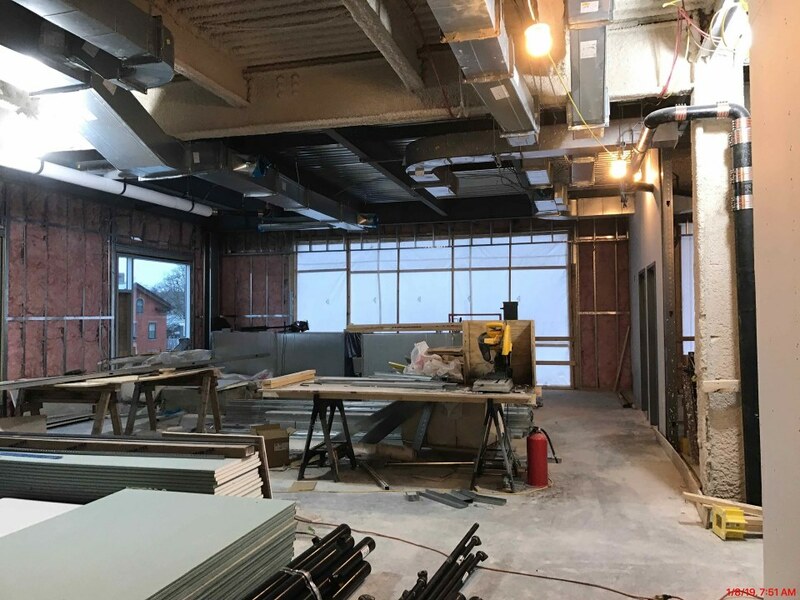 Interior of the third floor, the future home of the Development & Communications Teams, January 2019.